What’s The Best Tempered Glass PC Case in 2019? Are you searching for a sleek-looking chassis that will show off your PC components in all their glory? 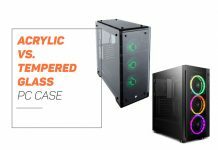 The market offers an abundance of such cases, with the majority of them featuring beautiful tempered-glass panels that show off the power of your rig. However, finding a model that suits your particular needs can be quite challenging – there are plenty of different brands and models out there. Have no worries, though – we are here to help you out! We’ve picked up the market’s most popular PC cases and carefully analyzed their features, advantages, and flaws. Read our informative reviews and find a PC case of your dreams! Standout feature: "All glass design"
Constructed from premium materials and upgraded with enhanced cooling to ensure the necessary balance between clean aesthetics and good airflow, Phanteks EVOLV X is truly something special. It’s one of the market’s best “dual system” cases and a model that undoubtedly deserves our attention. Built from robust materials, such as sandblasted aluminum and powder-coated steel, this chassis is very sturdy and quite attractive. 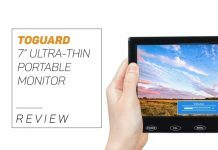 This is especially true when we consider its tempered glass side panels, which are, fortunately, very easy to attach and remove due to the presence of a magnetic hinge system. Due to the 30mm clearance present between the chassis and the front panel, EVOLV X has excellent airflow. This is further improved by the front panel’s extensive surface area and the dust-resistant mesh sections. Both the air and water cooling are supported, and the case is effectively silent when used with fans spinning at a lower RPM. One of the model’s best features is the fact that it comes with a lot of space for your PC components. Phanteks EVOLV X allows its owner to tuck in 9 SSDs and 10 HDDs, which is genuinely impressive and one of its main selling points. Keeping all of this looking clean is easy thanks to the dual lane cable routing options and the included sliding covers. When it comes to RGB illumination, this enclosure has digital RGB strips on its front panel and the PSU shroud. These provide attractive yet unaggressive RGB lighting and are compatible with both Mystic Light Sync and Aura Sync. The I/O panel includes two USB 3.0 ports, one USB 3.1 port, two RGB buttons, as well as the power button and the audio jacks. Although somewhat expensive, EVOLV X is one of the best PC cases in its category and a model that warrants its price tag with the sheer number of impressive features and a top of the line build quality as we came to expect from Phanteks over the years. 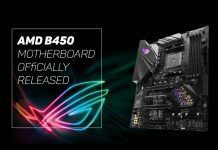 The long-awaited successor to the immensely popular H440 finally hits the stores – and it arrived with more new features than we hoped for. The H700i is a beautifully designed chassis with a “smart” twist and something that every PC enthusiast would like to have at his home. This is undoubtedly one of the best-looking PC cases on today’s market – it sports a design that’s clean and minimalistic, combining the flat panels with sharp edges. Just like its predecessor, the H700i can be purchased in a number of different color options. Those wishing a “stealthy” look will be pleased with the all-black version, while those who want something more colorful will find the variants with blue and red accents very attractive and equally pleasing to the eye. In our opinion, the design of the H700i is outstanding – we especially liked the striking red version as it looks very appealing and attractive. In terms of dimensions, this is the largest of the NZXT’s brand new cases, weighing 27lbs and supporting the maximum graphics card length of 413mm. 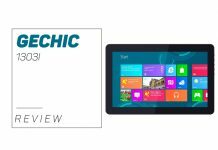 Its tempered-glass side panel reveals a spacious interior with space for 7 x 2.5″ HDDs and a fantastic cable management system. Removing this tempered-glass window is as easy as it gets – one only has to press the quick-release button. Mounting the hard drives is equally comfortable, as is guiding the cables through the interior thanks to the plastic cable channels. Just like we expected, there’s an abundance of Velcro straps as well. The “Smart Device” that comes with this case is essentially a HUE+ and Grid+V3 combined, and it allows the user to control both the RGB strips and the fan channels. The device is situated at the top of the chassis and can be controlled through the CAM software. This case has it all – excellent hardware compatibility, a great build quality, a modern layout, and one of the best cable management systems we’ve seen so far. 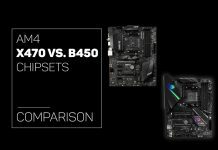 The manufacturer has succeeded in taking all the positive things about the H440 and making them even better – the H700i is definitely something worth spending money on. Some people (we’re looking at you, PC gamers!) like to have their builds on the show, using cases that have glass-made panels and lots of lights and RGB fans to light up the components. If this is your passion, you definitely have to take a look at the Corsair Tempered Glass Crystal Series 570X – this case is something extraordinary, and one of the best choices when it comes to glass-made models! 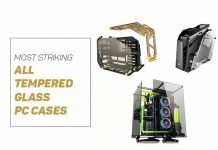 Corsair did an outstanding job here – they have decided to equip this case with as many interesting features as possible, in order to attract the potential buyers. One of the first things to notice here is, obviously, the design. The 570X is surely among the sleekest cases on the market right now, having glass panels on four sides and allowing you to take a peek at your components from all the directions. This, of course, makes the case quite heavy, but also makes it feel extremely solid. When it comes to lighting, it is customizable and will allow you to finally make your PC look like one of those boutique builds we see on Instagram. The LED lights that are present on the three SP120 fans are, of course, configurable, and give the user a good amount of personalization options. The spaciousness of this attractive case is also something worth mentioning. With six mounting points for the fans and compatibility with most of the radiators, Corsair 570X will allow you to easily place all of your components inside the case and get them up and working in no time. The cable management system and the ease of cleaning also deserve words of praise, with our only complaint being the fact that there’s no fan controller included in the package. Corsair Tempered Glass Crystal Series 570X is certainly a model that raises the bar, and something that the other PC case-manufacturing companies will look up to. The panels made of tempered glass combined with the LED-equipped fans can make your build look absolutely stunning – the 570X is definitely worth the money! Even though NZXT is a well-known manufacturer of various PC-related products, the PC cases have been the company’s bread and butter for quite some time now. Their models are highly sought after, which is not a wonder since they’re always so innovative and well-made. Can the same be said for their H400i Micro-ATX case? This model has a lot to offer. One of the first things to notice about it is its elegant yet simplistic design. The model’s front is matte black and features a small company logo on the bottom part. The sides of the front panel feature small but functional ventilation holes – the fact that there’s no front-panel mesh means less noise. The tempered glass panel, on the other hand, covers the entire side of the case and is held in place by four thumb screws. The back of the chassis introduces a standard PSU and motherboard cutouts, while the top part features an easily removable magnetic mesh and the IO area (2 x USB 3.0, mic/audio, and a power button). The inside of H400i is quite well-equipped – the fact that this is a Micro-ATX case doesn’t mean that it’s lacking in features. The SSD mount is situated on the front side of the PSU cover rather than on top – NZXT did this to prevent the obstruction of components when it comes to filling the PCI expansion bays. The cable management bar also deserves some words of praise – one can easily remove it by taking out the screws and sliding it out. Other things worth mentioning are CAM Powered Smart Device (for the management of RGB fans and lighting), adaptive noise reduction (optimizes noise balance – great for gamers), as well as the manufacturer’s warranty of two years. Even though it’s relatively expensive, there is no denying that this sleek and feature-packed PC case offers a great value for the money. With this model, a potential buyer is getting a sleek-looking chassis with plenty of room for the components that he can show off thanks to the presence of a glass side panel. It’s a clean-looking Micro-ATX case that deserves our sincere recommendation. With this model, Enermax has a completely new PC chassis in its portfolio – the model is made out of tempered glass and aluminum and has a truly eye-catching design. Although it’s quite compact, the Enermax Steelwing is compatible with both mini-ITX and micro-ITX motherboards and features enough space for high-end GPUs. As we said, this is a very compact case – measuring 387mm x 300mm x 176mm, it is highly portable and easy to transport from one place to another. Moving away from the regular, basic black case was a very good decision – Steelwing has an absolutely spectacular design and is certain to attract the attention of your friends. This PC chassis was manufactured from aluminum, with its non-anodized parts being sandblasted to decrease the visibility of ugly fingerprints. The side panels are as equally interesting. The left one is just what we expected – a smooth, tempered-glass window that allows one to show off the rig’s internal components. However, it’s the right side panel that steals the show since it’s available in a couple of different colors. The model’s IO area is quite simple – there are three USB 3.0 connections, microphone and headset ports, as well as the power button. Removal of the tempered glass panel shows us that there are just a couple of items in the hardware area, although well-arranged and useful. Installation of hardware can be challenging in the beginning, but it’s always like that with the small form factor cases – just be patient and determine what you really need inside your new rig. However, we can safely say that there’s enough space for a full-size card, while the PSU requires a vertical installation because of the case’s narrow profile. SSD fits rather close to the GPU, but there’s still ample space between them for the cool air. In conclusion, the Enermax Steelwing looks beautiful and its designers were not scared to break some conventions while designing it. It’s a sleek, compact model and a perfect choice for PC enthusiasts looking for a small form factor chassis that accommodates full-size components. Do you remember Fractal Design’s Meshify C chassis? It was a reasonably-priced model designed with optimum cooling performance in mind, and it was one of the company’s bestsellers. This famous PC case now has a little brother – the Meshify C Mini. It sports the same appearance and design, but its goal is to house micro-ATX motherboards. As we said, the exterior appearance of this model is identical to that of its older brother, with the primary difference being in that the C Mini is four centimeters lower. One of the most remarkable things about the design of this case is its front panel – it’s a beautiful metal mesh bearing the shape of several combined triangles. There’s a mesh on the top of the chassis too, but this one is removable as it is held in place by a couple of magnetic strips. As you can see on the picture, the left-hand side of C Mini consists entirely of a tempered glass panel, attached to the case by four thumbscrews. The IO area is situated on the top of the model and features all of your regular ports – 2 x USB 3.0, audio/microphone, as well as the power/reset button. Due to the lower height of Meshify C Mini, there are now five instead of seven slots for expansion cards. Installing an ATX motherboard is no longer possible, but you can, of course, fit the mini-ITX and micro-ATX boards without any problems. The bottom consists of a closed compartment that offers ample space for your PSU, as well as the HDD-cage that allows installation of two 3.5″ HDDs. The company decided to supply this case with two 120mm fans – one is mounted at the back and one at the front. Fortunately, the housing offers ample space for expansion, allowing the users to add their own 120mm or 140 fans, as well as 120mm and 240mm radiators. All in all, the Meshify C Mini is a well-built case that offers enough space for storage, radiators, case fans, and expansion cards. Those who want to build a compact system with their micro-ATX motherboard should definitely consider it for purchase. During this year’s CES, the Phanteks has caught our attention with their Shift series of PC cases, especially with those under the Evolv family. They revealed both the large Shift X and the more compact Shift case – let’s see what they have to offer! The smaller of the two (Shift) is a more mainstream version, and it looks beautiful – it features edgy corners and straight lines, reminding us of the legendary Silverstone Fortress FT03 case. The front is covered with a solid aluminum plate, and the case’s sides consist of tempered glass. The top part looks like a heatsink and is made out of plastic (unlike on the Shift X). There are two USB 3.0 ports, as well as the power and the RGB LED buttons. The Shift X, on the other hand, is a much larger chassis, but it doesn’t take up a lot of place thanks to its slim height and width. The top part is made out of aluminum, and the model offers a lot more internal space than its smaller brother. This doesn’t go only for the components – with Shift X, you’ll be able to use large water coolers (like the 280mm radiators). It will also allow you to use an ATX power supply of the regular size, although Phanteks recommends an SFX model. The small footprint of both the Shift and Shift X means that you’ll be limited to using the Mini-ITX motherboards. But the tiny footprint also means that these cases can be easily hidden under the table, and you can even put them lying down under your TV. The design of these models is one of the best we’ve seen yet, and we’re sure that they will fit nicely inside any room. In conclusion, we think that the new Shift cases from Phanteks are something certainly worth considering for purchase. They look absolutely sleek, provide a great view of your components, and the larger version (Shift X) is able to house some pretty powerful graphics cards, fans, water coolers, and power supplies. What’s not to like? Along with the decrease in size, the H200i has also ditched the USB 2.0 ports, leaving the user with just a pair of USB 3.0 ports, as well as with the standard audio jacks. Those who expected a USB-C port will probably be disappointed and will have to wait for the next iteration of this model. Another thing that has decreased in size is the 140mm fan mount found on the H700i – it has been replaced with a 120mm mount. However, the H200i retains the same removable air filters of its larger cousin, and it also introduces dedicated top air filters. The model sandwiches the filter between the top of the case and the fan, which means that it’s not removable when it comes to cleaning. We should also mention that the removable fan/radiator bracket, which was located on the top of the older model, now installs into the front of the mini-ITX model. Taking a look inside reveals that H200i sports the standard micro-ATX and mini-ITX motherboard trays, with each of them featuring a 2.5″ SSD mounting bracket. There is also a convenient metal bar for cable management, as well as the RGB LED strip located at the top of the chassis. This strip comes together with a connector that allows the user to install more strips. Finally, the room behind the back panel houses the company’s custom Smart Device, which provides fan speed control and powers the RGB strips and fans. The Smart Device is controllable through the manufacturer’s CAM software. Although the model’s price tag doesn’t really make it a budget choice, it is undoubtedly among the best mini-ITX cases we’ve ever seen. The model’s sleek design and performance-per-dollar value turn it into an excellent product that deserves its popularity. If there’s one thing that Thermaltake’s P series is all about, it’s about showing off your hardware. With the transparent panels putting the front-facing hardware into the spotlight, it’s quite easy to see why these cases dominate the manufacturer’s booths at most hardware shows. We’ve decided to take a closer look at their Core P1 chassis, which is wall-mountable and designed for mini-ITX hardware. Thanks to its sturdy construction and the huge TG window, this chassis weighs more 20 pounds, and one can add a lot more pounds to this weight if he decides to use water cooling. 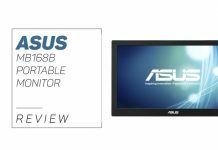 Despite the weight, the model provides support for wall-mounting with its VESA-compatible screw threads. Describing the design of this chassis can be quite challenging due to its open design – the interior of Thermaltake Core P1 is as visible as is its exterior. In simple terms, the model consists of a flat pillar (which holds your cooling system, PSU, and the mini-ITX motherboard) and four chromed pegs that support the tempered glass panel. As you can already guess, this leaves the rear, front, top, and bottom sides all open. The front panel of Core P1 features the usual things – a large power button, two USB 3.0 ports, and the audio connections. The main casing has been manufactured from steel, with its bottom part sporting plastic feet that provide a great balance but don’t really match with the rest of the design. It’s a shame that Thermaltake didn’t construct them from steel too, like the rest of the chassis. The back of the case, on the other hand, is all-steel and can be removed by unscrewing the four thumbscrews. There are also a dozen special holes that are used for wall-mounting. Pulling the back panel off reveals an inch and a half thick area with the necessary mounts for your hardware. It’s always pleasing to test something completely different from the norm – particularly when it comes to PC cases. Even though some PC enthusiasts might find this innovative mini-ITX case a bit expensive, the strength of its materials and the flexibility of hardware installation make it a cool option for those who’d like to show off their gaming rig. PC cases that have glass panels on their sides are a bit special in some ways, and if you want to make your PC unique, you can try to add a glass case in your build. Before that, there are a couple of things you should look out for when buying one of these cases. The size of the motherboard is the first thing you should think about as it defines the size of your PC case. Cases with a tempered glass panel are available in all sizes, but you need to get one large enough to accommodate the motherboard and other hardware. There are three main motherboard sizes. Mini-ITX stands for the smallest while ATX stands for the biggest type of motherboards. 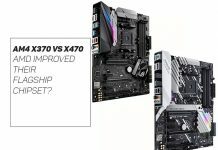 PC cases can hold smaller motherboards than their rating. That means if you have a PC case that can accommodate a standard ATX motherboard, you can also install the smaller versions we mentioned. With that said, you should try and match the size of the case with the size of your motherboard. If you install a smaller board into your PC case, your PC may end up not looking as good as it could. You will be left with plenty of empty, unused space. The whole point of a TG PC case is to display the impressive looking system, not something “half baked”, right? Most PC cases have standard front panel connectors like a couple of USB ports, a headphone jack and a microphone jack. All other features are a bonus. For them to work, the connectors have to be attached to the motherboard via the pin connectors. If the case features more than two USB 3.0 ports, the chances are you’ll need two USB 3.0 motherboard headers, but many have only one. Typically, motherboards feature one USB 2.0 and one USB 3.0 ports. The newest addition to PC cases in 2018 are the USB Type-C ports. Some PC case and motherboard manufacturers have included the USB Type-C connectors on the front panel. The new generation of Intel-based boards feature these ports. If you are looking for this feature, you have to pair the motherboard with your PC case. The front-panel HDMI port is even rarer than the USB Type-C port. Some PC case manufacturers have started to include this feature for easier connectivity to VR headsets. This is a must if you want to play VR games. 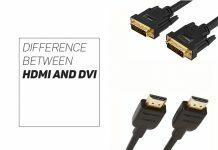 And in order to do so, you will have to connect the front HDMI port with the same port on your graphics card. The main feature of any TG PC case is the glass panel that lets you see the components of your computer, cable management and also your water-cooling system if you have one. When you’re looking for this type of case online, look for photos with built-in systems, to make sure that the management of components fits your preferences. Some cases have a panel that only shows a part of your rig, like the CPU and memory area. If you want to display your SLI connected graphics cards, you’ll need a larger glass. Some models hide their power cables and cooling systems which are exactly what you need if you want to get a minimalistic look. Having plenty of cooling power is crucial, but you don’t want it to ruin the looks of your case. Most chassis have one or two fans installed already, one at the front and one on the rear. Everything depends on the type of cooling system you have. If you want to use a large air cooler for your CPU, you need to make sure that there is enough space for it. One of the most common issues is that you won’t be able to close your side panel because the heat sink of your cooler is too tall. If your choice is water cooling, make sure that there’s enough space for the radiators and fans that go on them. Do the measuring in detail before making a purchase. If you want a good looking PC case, you need to pay attention to the lighting inside. Even so, you can add some LED strips if needed. Most chassis come with LED lights built in already. This is a purely aesthetic feature that will be able to give your PC a little bit extra flare together with that tempered glass. The market is full of customized tempered glass PC cases. There are plenty of trusted brands and models to choose from, but they all have specific features that can make a huge difference in the results. The glass panel is a just one feature of these PC rigs; you need to make your choice based on the size of your hardware, lightning, cooling capacity of the case, and many other things. 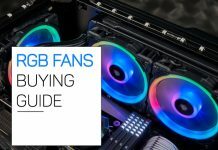 We’ve created our top picked list in order to help you find a PC case that fits your needs, and we hope that you found the information you need to make the right choice in our reviews.